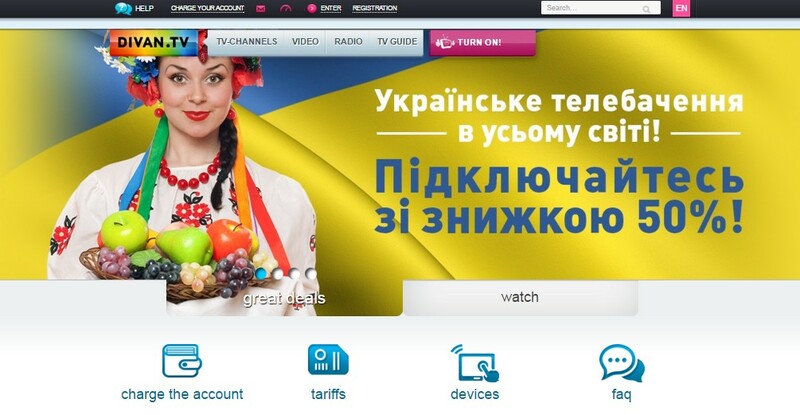 Ukrainian OTT service Divan.TV has expanded the availability of its smart TV app globally, taking the service to smart TV users in almost 200 territories, according to the company. The OTT service is now available on Philips, Samsung and LG smart television platforms and says it may also launch on Hisense and TCL’s platforms to target the US and Canadian markets specifically. Divan.TV offers between 70-200 channels depending on the territory in which the user is based. Three packages are available – a Russian TV package, a Ukrainian package and an all-inclusive package. Users can subscribe to the independent Russian channel Rain TV on an a la carte basis. On-demand content is also available. Divan.TV has hitherto been available in the CIS countries, Israel, central and eastern Europe and the US. The service was made available globally in February, but access has been restricted to mobile devices and the web. “Now Russian and Ukrainian channels are available on TV screens all over the world. We are very happy to cooperate with leading smart TV manufacturers, thanks to which we can officially provide services to our users,” said executive director Arkady Kanyuka.